This may sound like one of those "problems for happy people" but concern is growing currently over a global pandemic of a condition known as "PSA", or Phone Separation Anxiety. Apparently, people are getting addicted to their "smart" devices, and it's negatively affecting their business, social and family lives. Who knew hand-held electronics would be the new heroin? You keep an eye on the whereabouts of your phone more than the whereabouts of your kids. You can't resist answering texts or emails immediately upon receipt, even during inappropriate situations such as at dinner with friends or on your wedding night in the Honeymoon Suite. You take your phone to public gatherings, like a movie-house, live theatre venue or a funeral and don't shut the ring tone off in case someone shares your awesome Facebook post with the cute puppies. You get anxiety attacks during phone charging operations. If you exhibit any of these symptoms, you may be just another wretched cellphone addict just waiting for your ringtone to announce your next "fix". The rate of employees being device-addicted is climbing so rapidly, companies are beginning to take steps to wean their workers away from their cellphones. It's already been over two years since international freight solution company, PBD Worldwide Fulfillment Services identified this concern and began taking action. The business repurposed "casual Friday" into "Email Free Friday" forcing people to actually speak on the phone or (horrors!) face to face. Following the implementation of this initiative, the company experienced an 80% drop in time spent reading carbon copies of irrelevant emails and reports not of value to the recipients. Recognize your weakness - Like any rehab situation, you won't take behaviour change seriously if you can't admit you have a problem. You'll know you have a problem if, for example, you can't go 24 hours without accessing your social media feed. Or just ask your kids if you do. They will know. Pick a date to start the process. Much like quitting smoking, your success will be more likely if you can mentally prepare for the change ahead of time. Warn your social media contacts you may be away for a few days so they don't worry. 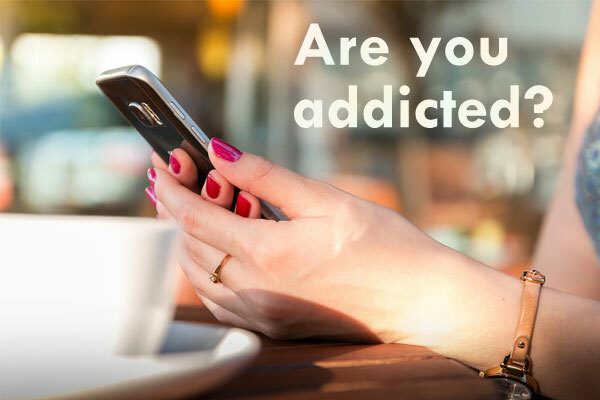 They know you're addicted like they are and may contact emergency services if they don't hear from you in a day or two. Try and go completely phone-free for the first few days to reorder your brain and weaken your connectivity habituation. This would ideally take place in new surroundings, such as a resort on some tropical beach or in prison. The latter option may be a bit extreme for some, however, despite its effectiveness. Establish Rules of Engagement - If you bought a phone to keep in contact with your kids, you will be hard-pressed to stop using it for that purpose. It is the constant social media engagement you want to limit, not your contact with loved ones, so set your timer before "tweeting" or "Facebooking" and stop when the alarm sounds to limit your social media minutes. Ultimately, we would all be much happier if we could just relax and not respond the second we hear a ring tone. It's good to remember most of us aren't doctors or super heroes and the vast majority of emails and texts are not "life or death". Take your time to answer and take some stress out of your life.